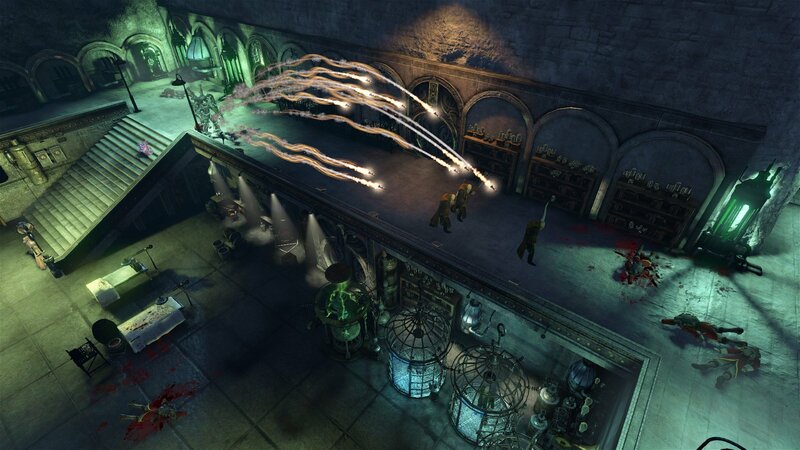 The Incredible Adventures of Van Helsing has always been an exceedingly interesting game series to me. On the one hand, they’re clearly influenced by the dozens of fantasy hack and slash action RPGs that came before, such as Diablo, Dungeon Siege, Torchlight, etc. But then on the other hand, it draws heavy inspiration from gothic horror themes and characters as well – hence the Van Helsing setting. The difference between this and other representations of Van Helsing however, is the action RPG coat of paint. Between your monster and vampire slaying, you’ll spend time sorting loot in your inventory and leveling up your characters various different abilities. But fans of the series already know all that, since this concludes the trilogy that’s carried across both of the previous games. NeoCore Games has taken great care to heed of the “if it’s not broken, don’t fix it” theory. For all intents and purposes, you’ll be clicking around and tapping keys just like the last two games with very few differences – it’s essentially more of the same stuff with a few updates. 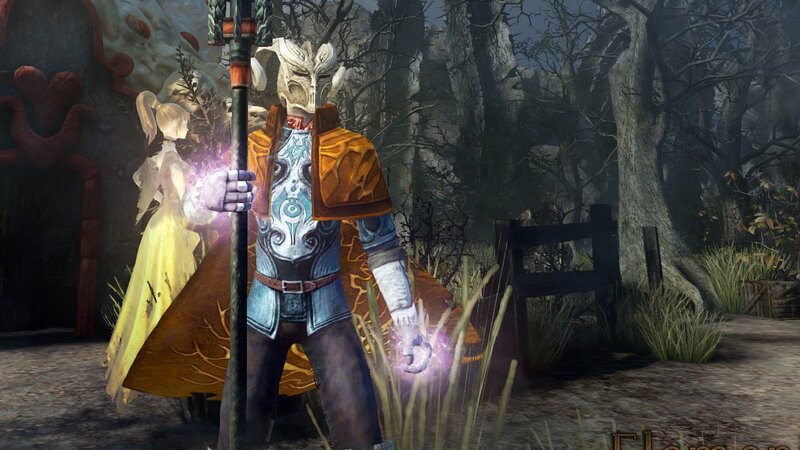 For one thing, Van Helsing II sported a total of three classes: Hunter, Thaumaturge, and Arcane Mechanic. 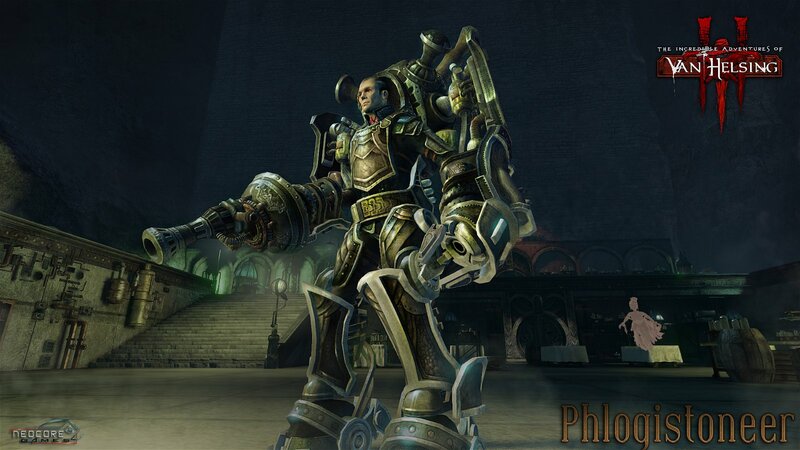 Van Helsing III changes them up a bit and adds three more, to a total of six classes to pick from: Protector, Elementalist, Bounty Hunter, Umbralist, Phlogistoneer, and Constutar. For this preview though, only the melee-focused Protector and fragile magic-using Elementalist were available. For my first foray into this wild and dark world was with the Protector – I always lean towards the most Paladin-esque character available so this was a no-brainer for me. After the opening cinematic, I learn that my first goal is to explore a creepy testing facility and track down a vampire by the name of Count Vladus. All of the hotkeys work as expected – pressing I opens inventory and equipment screen, pressing C brings up stats, holding shift while attacking prevents movements, and so-on. If you’ve ever played any of the games I listed before, then you’ll be right at home here. 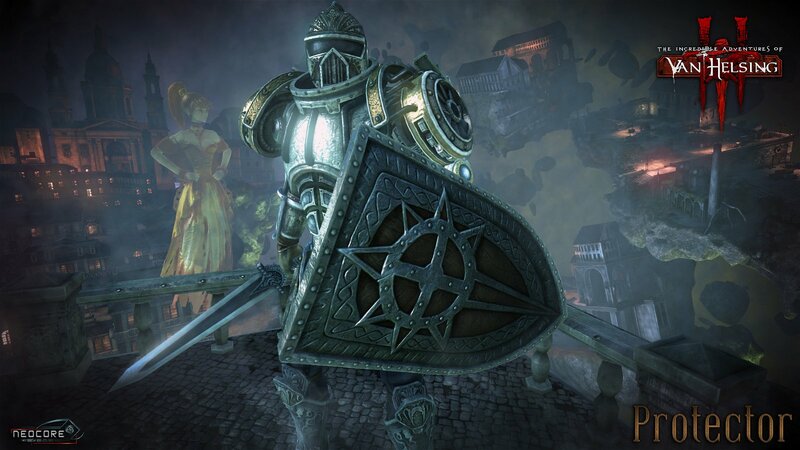 The Protector started out with a full suite of abilities to choose from, ranging from an immobile block with this shield that built up my damage bonus on ensuing strikes, a charge ability, and even spikes that sprout from the ground in a wave before me. While the pace of combat is decidedly slower than that of Diablo 3, the breadth of abilities and options in combat feel more diverse from the outset. On my second go around I opted to make an Elementalist and see how things changed. 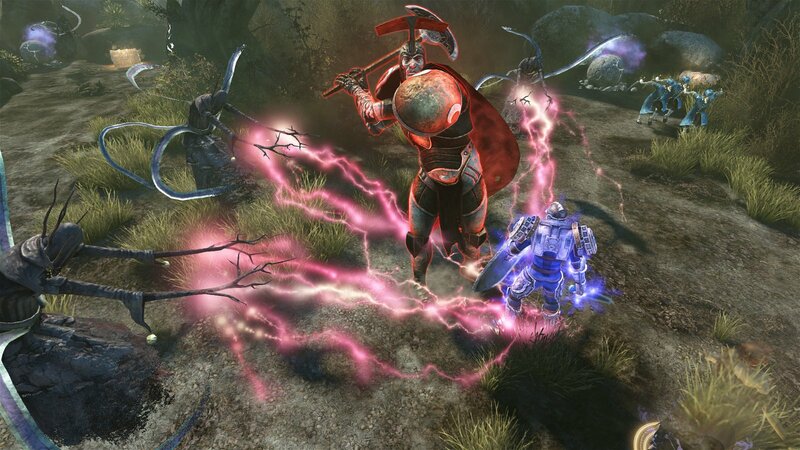 Playing as a strictly range-based character like the Elementalist was in stark contrast to the close-ranged bruising of the Protector. His basic attack was a stream of homing bolts that required little thought to use, and he could also sprout flame serpents from the ground and even create a giant swirling Doomstorm that summoned small critters to swarm my enemies. It was exhilarating to have so much power at my fingertips, even if some of the cooldowns were pretty long. Regardless of which character class I chose, I always had the same sidekick – The Lady Katarina. I could alternate her “mode” on the fly between melee attacks, ranged attacks, or spirit form, which applied a passive bonus effect. She had her fair share of witty quips and commented on the environment pretty often, which is a nice touch of personality that helps the game stand out even more than it already did. While my preview build suffered from a lot of limitations, NeoCore’s track record should serve as a good predictor for the level of post-launch support and stability you can expect. Hefty updates and balance patches go without saying and the final release is expected to include single-player story mode, four-player co-op, and up to eight-players for co-op PvP gameplay. You can expect all of the same modes and features from the previous game, in addition to some extra little bonuses, such as unique tower-defense style minigames. Van Helsing III will release later this month when players can see the conclusion to the story and uncover the past to Lady Katarina. I didn’t get to see the other four classes and there were zero customization options at character creation, but it’s shaping up to be a final entry that is just as great, if not better, than the last two.